Elsevier, a world-leading provider of scientific, technical and medical information products and services, announces that Heliyon, its new open access journal publishing research across all disciplines, has today published its first eight papers since the journal opened for submissions earlier this year. Covering topics as diverse as Yard-long beans in Sri Lanka and cattle in Western Germany, the newly published papers span multiple research disciplines from authors across four continents. According to Claudia Lupp, Heliyon’s Editor in Chief, these first papers demonstrate the journal’s commitment to publishing sound research across a broad range of disciplines. Heliyon aims to offer authors a superior user experience, drawing on Elsevier's extensive network of cutting-edge technologies to streamline every stage of the publication process. In line with this commitment, the journal is set to be the first in the world to use the newest version of Proof Central, a tool which allows authors to quickly input corrections and immediately generate a final version of their paper’s PDF for review – thus speeding up the proofing stage. Using technologies developed at Elsevier and Mendeley, the journal will continue to focus on improving the author, editor, reviewer, and reader experience. 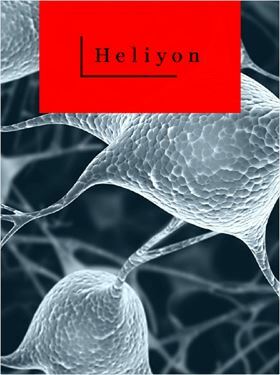 “Heliyon represents an exciting step in scientific publishing. It is a platform for innovation and experimentation that builds on the learnings from journals like Cell and its sister journals to continually explore and evolve how we publish, discover, view and share research,” said Emilie Marcus, CEO of Cell Press and Editor-in-Chief of Cell. The Heliyon team aims to garner maximum visibility for papers, enabling them to be easily discoverable and connected to relevant communities and readers. All published papers are immediately and permanently available to read, download and share on both Heliyon.com and ScienceDirect. Visit the website www.heliyon.com for more information, submission guidelines, and to register for email alerts. From January 2019 Materials and Design will become an open access journal.